Ultra smooth technologyOur ultra smooth technology includes filaments capable of beautiful and smooth extraction to help build even the most delicate objects.Vacuum sealedWe use vacuum-sealed packaging to isolate the moisturized environment and filament, and provide the best performance possible.High compatabilityOur filaments have been tested on various 3d printer brands, receiving widespread and positive customer feedback.100% USA100% of the materials used in our products are grown and made in the USA.3D Solutech is a professional filament manufacturer specializing in providing a wide range of colors and materials for 3d printing.Quality is always our top priority, and we check each spool, vacuum seal, and package by hand to ensure optimal product quality.Our filament is a proven winner, and maintains the smooth and consistent printing experience needed to achieve the best printing results.Our filament is always round, and contains no oily residue, air bubbles, kink,s or breaks.Check out our store for the latest colors and materials for your 3d printer.Package includes:1 x 1.75mm Real Green PLA filament (2.2LBS)1 x Filament clip. View More In Additive Manufacturing Products. 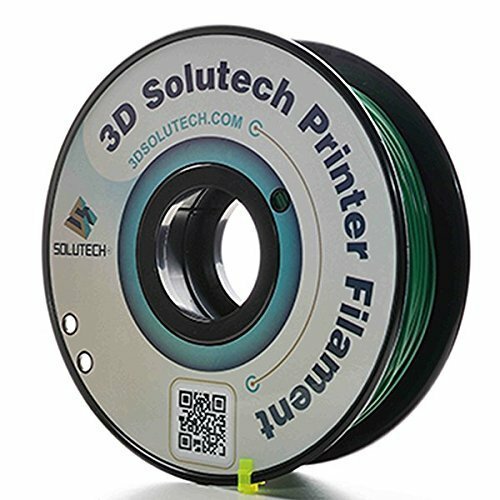 If you have any questions about this product by 3D Solutech, contact us by completing and submitting the form below. If you are looking for a specif part number, please include it with your message. © 2019 - enria.org. All Rights Reserved.